Work on ambitious creative campaigns, in a professional studio environment. Learn from industry experts and graduate career ready. "After graduating, I landed myself a job with Taxi Studio - an award-winning design agency, based in Bristol. Now a mid-weight creative, I've had the opportunity to develop my skills, working with a wide range of clients, such as Coca-Cola, Carlsberg and Nestlé. Aside from my creative role, I run Taxi's placement programme, offering advice, mentorships and industry insight to students. 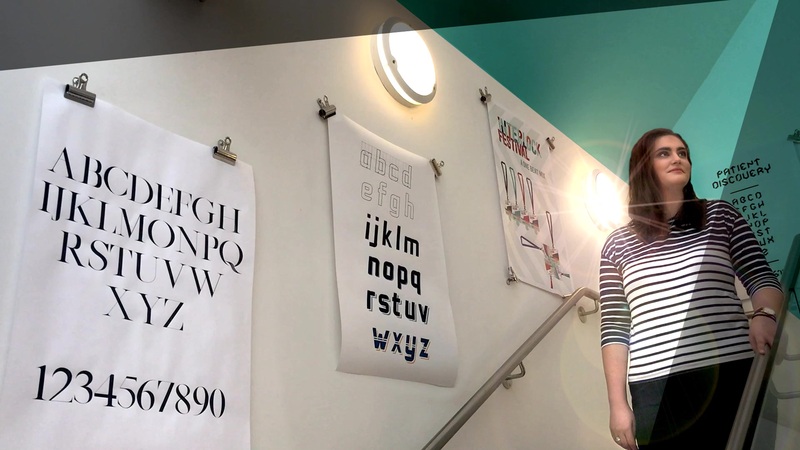 The Graphic Design course at University of Gloucestershire helped me understand the power of ideas and introduced me to a wide range of subjects. Working in a studio environment, strong industry links and being encouraged to collaborate with others on the course fully prepared me for a career in the creative industry." Amazing experiences, designed for success. Our students recently collaborated with Superdry to design our new student ambassador kit. Our students have won numerous top awards - Tin Sum Tiffany Chau recently won a Penguin Design Award. Our 'speed meets' give you the opportunity to meet top agencies and showcase your work. Industry standard equipment. Agency standard creative spaces. Refine your talents in our cutting edge facilities, complete with the very latest technology and equipment. Our design studios are exactly as you would expect to find in a top agency, equipped with Apple Mac systems and all the latest Adobe CC software. We also have facilities for more traditional approaches to design, such as silkscreen printers. Our studios are shared by Graphic Design students from all years, which creates a strong design community. Academic Course Leader in Graphic Design. "I'm a walking advert for the BA Graphic Design course here at the University of Gloucestershire, having graduated from it myself back in 2008. In the decade that followed, my career as a graphic designer took me to award-winning branding and packaging design agencies in Bath, London and New York, working on globally loved brands including Cadbury and Coca-Cola. Slightly older - and most definitely wiser - I returned to UoG in 2016 to educate and inspire the next generation of graphic designers. Drawing on my experience as both student and professional, I devote my energy to creating the positive, supportive and creatively challenging atmosphere of a professional studio environment, supported by enviable links to industry. My belief is that our students' hard work and creative commitment should be rewarded with the skills they need to earn those four simple words: 'You got the job.'" View full profile View School of Art and Design staff profiles. See how award winning student Tiffany has been able to channel her authenticity during her time at the University of Gloucestershire. Learn from graphic designers who have worked for 20th Century Fox, Cartoon Network and Universal Pictures. Gain essential industry experience through work placements and live briefs. Students have recently worked with Channel 5, 1HQ London, Jones Knowles Ritchie, Bulletproof and Taxi Design – winning awards with their work and moving into successful design careers. With this degree, you’ll learn to express yourself through distinct, creative, commercially-astute and ambitious ideas. You’ll work on projects as part of creative campaigns in a professional studio environment, benefiting from daily contact with staff. You will develop your understanding of graphic design and creative entrepreneurship to ensure you are prepared to move into industry when you graduate. We have an outstanding visiting lecturer programme with recent guests including internationally-leading designers Ken Garland, Mary Lewis, Morag Myerscough and Mark Bonner. You'll be inspired at UK design exhibitions and through international visits to design centres such as the iconic Bauhaus, Berlin, the birthplace of modern design. From branding, print and packaging to moving image, photography and typography, this degree covers a diverse range of design areas. You will be able to complete a Creative Awards module where you could follow in the footsteps of students who have won YCN Commendations, Yellow Pencils at the D&AD New Blood Student Awards and the Starpack Student Packaging Awards. In your final year you’ll refine your creative voice as a graphic designer in line with industry needs; you will be ready to progress into your career in the creative industries. Working in our unique graphic design studio, you will have access to Macs and the latest Adobe Creative Cloud software. The studio, at Francis Close Hall campus, is shared by Graphic Design students from all years which creates a strong design community. Our Advertising, Graphic Design, Fashion Design and Interior Design courses have moved to our stunning Park campus based in Cheltenham. Home to a cosmopolitan range of courses, students and professionals are brought together from a variety of specialisms. Find out more about Park and see where you could be taking the first steps towards your career in graphic design. Get Graphic Design course updates and hear more about studying with us. This is a practical and professional degree. You will experiment with different approaches to creativity using a range of media channels and marketing design strategies. Gaining industry contacts and experience through professional practice is a core part of the degree. 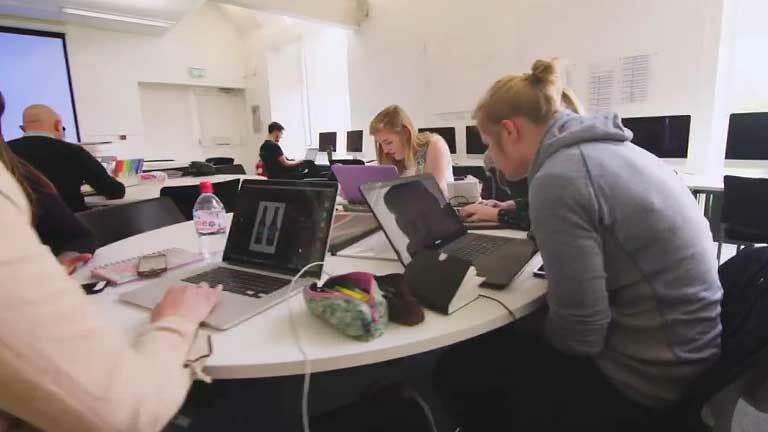 Students are encouraged to work with prestigious studios and agencies including Channel 5, 1HQ London, Jones Knowles Ritchie, Williams Murray Hamm, Bulletproof and Taxi Design and SLG in Cheltenham. We support the internationally-known Cheltenham Design Festival that partners with UCAS, Superdry and Mira. Recent guests have included creative director Eric Kessels, New York-based designer Stefan Sagmeister and British design gurus, Ken Garland and Sir Kenneth Grange. Our students network with big employers and gain insights from leading designers. Fill in the form below and we'll be in touch with Graphic Design updates, upcoming events and everything you need to know about university life.